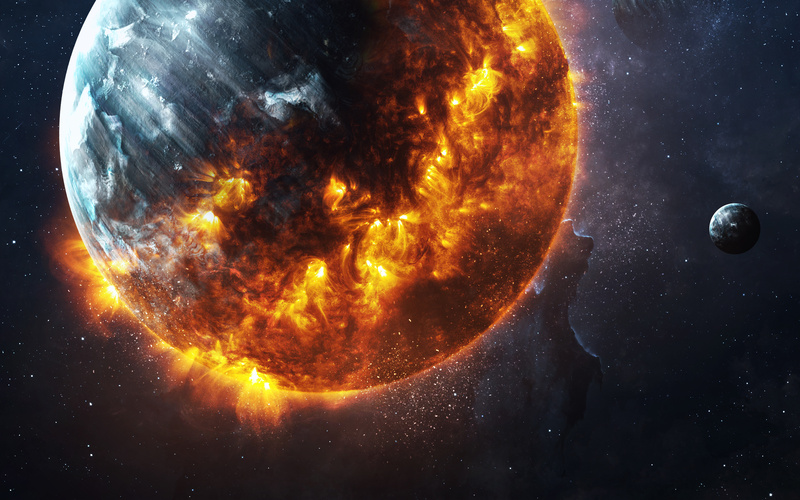 Are you prepared for the end of the world? If you are not, it is entirely understandable. Many people fear the thought of the end of the world. They might enjoy watching TV series such as Star Trek and others that play around with the idea but don’t fully comprehend their plan if it were to happen. All in all, it is now evident that an economic crisis is not a far-fetched idea. The financial crisis of 2007 and 2008 is still fresh in many people’s minds. During the crisis, the mighty and powerful financial institutions collapsed – including the Lehman Brothers. History has recorded other devastating natural disasters.In the year 2010, Haiti was hit with one of the worst earthquakes ever recorded in that part of the world. The 7.0 magnitude earthquake with a record depth of 8.1 miles left more than 200,000 people homeless. Millions of others were left homeless and in need of an emergency solution. Other natural and human-made disasters have been recorded in the history of man. What has happened before, can always happen again. It is always advisable to stay prepared for any eventualities. The following are some of the items that you might consider buying to stock them in your store or basement. They might be the most valuable items in times of emergency. Water is one of the most fundamental and significant things to have on you during a crisis. It is said that lack of water kills man faster than hunger. Therefore, ensure that you safely store some gallons of water somewhere in the house. The good thing about water is that it can be easily found in rivers, pools and such. However, to remain healthy, it is advisable to have a way to boil this water to kill the harmful bacteria. One can also store some of the filters to help in the purification of the water from contaminated areas. Food is one of the primary needs in life. During an emergency, your need for food will be at the top of the list. As seen in the ‘end of humanity’ TV series, people result in inhumane ways when searching for food. Therefore having a secret stash of food is a sure way to survive in adverse situations. It is necessary to find food that can be stored for an extended period. The people who live in the Arctic have an advantage since they can save food in the snow for an extended period. You can also freeze the food for storage. It might not be the most delicious, but again, during an emergency, delicacy is a luxury. Most disasters leave people homeless and even if they don’t, the crisis that follows forces them to move from their homes in search of food or other survivors. It is always nice to have a makeshift tent that is portable. That way you can be able to move around and shelter yourself from the harsh weather elements. It might also call for getting a sleeping bag. It will help you to remain warm and healthy and survive through the adversity. Syria has recorded some of the worst cases of chemical attacks. The effects of those attacks are still evident today decades later. It is therefore imperative for any people who are conscious about their safety to have gear specifically for this kind of scenario. Decontamination of surfaces that have been exposed to the deadly chemicals is necessary so that everyone can remain healthy. There is the FAST-ACT Microfiber Towel Pack which is efficient in decontamination of chemical substances from surfaces. They also have a bottle that is effective in cleaning gear that has been exposed.During a chemical attack emergency, it is useful to have a gas mask for safety. The FAST-ACT Air Respirator Mask is an excellent option for such situations. Have you ever thought about that moment that you are caught up in an emergency where you could not access any banks, ATMs or even transact any online banking? According to some people’s belief, it is not wise to keep money in the house; it is an ancient way of storing cash. However, I would differ with that. What if there were sudden floods and your specific bank remained closed amidst all the chaos? It is highly crucial always to keep some cash stacked away in some ‘safe haven’ for such days. Cash at that moment is a lifesaver because you will need to buy a few essentials such as food or even relocating to maybe a family member’s house. All this requires funds. The amount of cash you keep in your home is for you to determine. We live in a modern day age where electricity is quite a big deal in our day to day lives. It is what ensures that our HVACs are working correctly among other things. What to do in the case of a substantial countrywide blackout? Backup generators would have to step in and cover the situation at hand. Solar powered systems would also play a huge role. A more portable solution would be to have flashlights in your emergency survival kit that will provide alternative lighting. Keep a refrigerator closed for a few hours. Most often, it will keep food cold for a few hours. As discussed below, power could go off anytime with no prior warning. With the recent technological developments, power banks have come to save lives. Many people would attest to this without any doubt. Power outages are inevitable sometimes and especially in cases of hurricane occurrences. Your survival kit should include a power bank because your phone could go off anytime and that would cut any communication with the outside world. These devices come in handy when you want to call for help or communicate with a rescue team on their way to rescue you. The above essentials should not limit you to what should be in your kit. You can always add other items you feel should be on your list. It’s better to be prepared for such situations rather than be caught clueless and helpless. Probably one of the most horrific terror attacks ever recorded was the one that happened on September 11th, 2001. AL Qaeda members hijacked four aircrafts, and two were flown into the Twin Towers, with one crashing in Pennsylvania. In this horrific act of violence, approx. 2753 people died. The number of terrorist attacks recorded each year is something to consider. As much as the thought of terrorism is scary, nothing is more frightening than a lack of a preparedness plan in case an act of terrorism happens to or near you. Nobody envisions that an attack could happen right at their doorstep or their workplace, but the truth is; it can happen just about anywhere. As much as the government has to protect its citizens, some occurrences may be beyond their power or rather; their response rate could be lower. What do you do in such a situation? Being prepared in advance is necessary, as it psychologically makes you aware of how to handle the situation. Below are general activities you can do if terrorism occurs. One of the most significant assets you can have is ensuring you know what is around you. You should be aware of who is walking beside you or what is happening around. Be keen as this will act as a mechanism to identify is something amiss. Be alert and learn the art of listening to your surroundings. In case there is any abnormal behavior, look for an emergency exit. Being away from the danger zone will ensure that you are safe. Most often, what matters the most is family. 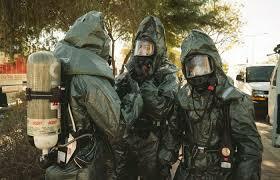 How are you and your family prepared in case there is a chemical attack? First, ensure that you equip yourself with protective assets such as the FAST-ACT Mask which protects against chemical attacks. Talk about a detailed contingency plan as a family when attacks occur. Where should you meet in case bombings happen? Have a common meeting ground for everybody to reconnect as there may be issues with network or phone communications. We cannot stress how important having money in case of emergency is. You need to have some cash with you all the time in case there is an emergency evacuation, and you can’t access your car. What about if you need to leave your city or even country? The money that’s in the bank can’t be beneficial at that moment as the institutions may not be open or may be temporarily closed as well as their online banking services. Food and water are both essential to the body for it to function adequately. Since no one knows when an attack may happen, you always need to have food available that will last at least a week. Store food that could last even a month as you may never know how long the situation will continue and if the food prices will consequently become insanely higher. A bug-out bag comes in handy when such terrorist attacks happen because you can just pick them up and make a smooth exit. As long as the bag contains the essential items to survive for at least 72 hours, then you are in order. Ensure that you always have it with you in your car as this will be more comfortable especially when such an attack happens when you are away from home. 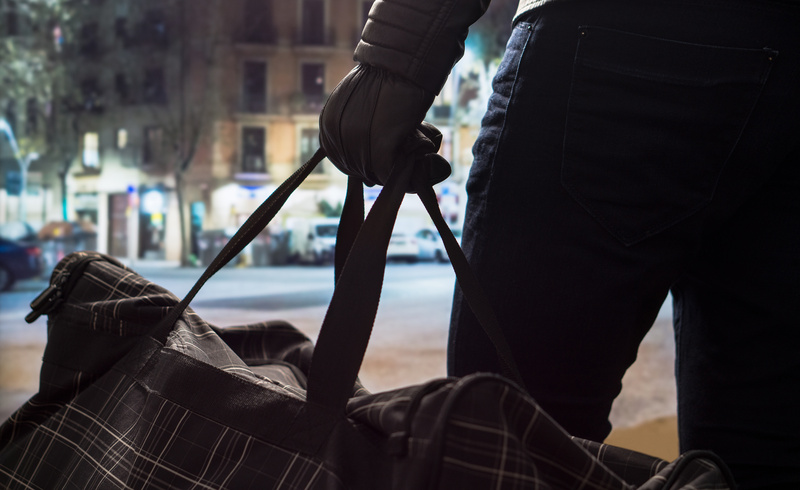 Even still, while at home a bug-out bag is necessary so that if the worst occurs, you can quickly leave and find a safe place. If you are planning on purchasing a house, find one that has a room that can be used as a safe room. This place is perfect because in times of danger you can converge with your family and stay safe until everything is over. In such situations of attacks, ensure that your house doesn’t look inviting. If possible, keep your car off the driveway as well as any pets. A home that looks ‘deserted’ will most likely not attract the attackers, as they seek to hold people hostage. An empty-looking home reduces the likelihood of becoming a target. In cases of chemical spills in the house, you may need to use the FAST-ACT Powder Bottle Pack. Simply pour the powder on that specific area then clean it with the FAST-ACT Microfiber Towel Pack. Staying calm during high-stress and dangerous situations may seem hard, but it’s not impossible. Understand and accept that there is nothing you can do during the situation especially in the case of being held, hostage. Just calm down and keep quiet. Don’t risk your life by overpowering the criminals. Your life is the most valuable thing at stake, so protect it. Unless you are a licensed gun holder, I would suggest not having illegal arms in the house. However, you can always use makeshift weapons for unforeseen situations as such. You can watch DIY tutorials on Youtube on how to make weapons such as bows. You can also get lessons on how to use them. Knives also come in handy when you are faced with a threat. Protecting your food is a small but important detail. When storing food, store food that will feed your family only. What happens when outsiders come to look for food forcefully? Devise ways of making your stored food invisible; for example, you can hide food in containers that are mislabeled, such as ‘play kit.’ Fill up the food halfway, then add kid toys on top. Noone suspects such hence; it keeps your food safe. Pre-planning reduces fear as it gives you a sense of confidence. A strategy is the main trick of staying alive and safe. All of the above measures will minimize risk. Acceptance plays a huge role too as it gives you room for expecting such occurrences which helps you to be emotionally stable. It is a shocking and sad reality that chemical attacks are happening in the world today. The threats continue to rise as global tensions become greater. It can only be a good thing to be prepared if one was to occur in your area. The first step in preparation is to understand more about what chemical attacks are. Chemical attacks involve using toxic chemicals as a weapon. They can even be considered weapons of mass destruction. 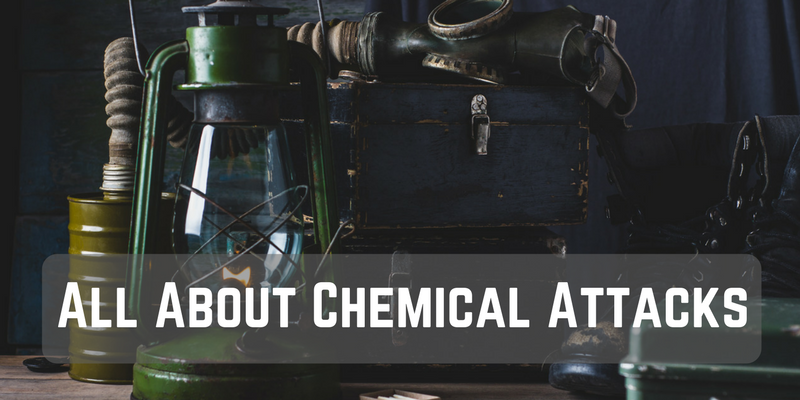 Although the outcomes can be deadly, chemical attacks are something that can be overcome with the proper knowledge, protective gear, and preparations. 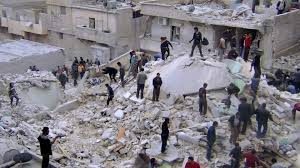 Chemical attacks are infrequent, but when they do happen, they can cause a lot of devastation. They usually occur in large, busy areas to create as much havoc as possible. Chemicals used for warfare are prohibited according to the Chemical Weapons Convention (CWC), where the majority of countries chose to adopt the law. Unfortunately, there are still several countries that are active in enabling terrorism that have not endorsed this legislation. Riot Agents – These are commonly seen during crowd control situations by police. Riot agents are usually not lethal. Everyday pepper spray and CS gas are the most popular types. Blister Agents – When exposed to skin, this type of gas will cause large blisters filled with puss. It can be lethal just by this skin exposure and by inhalation. Mustard gas is a well-known type of blister agent. Blood Agents – These types of agents are very hard to detect as they have no color or odor to them. They creep into the blood system and stop the cells getting the oxygen they need. Hydrogen cyanide is the most well-known type, but these agents are uncommon on the whole. Choking Agents – Chlorine and Phosgene are examples of this type of agent. They work by “drowning” the victim by preventing the lungs from getting oxygen. Chlorine spills can be frequent, but they’re treated as HAZMAT situations due to their often random nature. Nerve Agents – This type of chemical agent has devastating effects in only small doses. Even a pin drop can cause death. Exposure to nerve agents results in seizures and convulsions until death. The nerve agent sarin is thought to have been used in the recent attacks in Syria. The same nerve agent was also used in an attack in Tokyo and Vx was used in the murder of Kim Jong-un’s brother. Even a small can of pepper spray has its effects, so imagine what it is like when it is delivered with SCUD missiles. What happens to those exposed to them is varied. The amount of attacks is decreasing, as is the actual number of chemical weapons available. However, there is still a threat that should be acknowledged. How severe can a chemical attack be? The answer depends on many factors. The type of chemical agent used will make a difference. Tear gas is nothing compared to sarin. How a chemical attack is delivered also matters, as well as the area it is delivered to. Tear gas over a few rioters in town will cause a lot fewer problems than nerve agents dropped in bombs over a busy city. Some chemical attacks are done indirectly, targeting food and water sources. This will still have an incredibly horrific effect on the areas this would happen in. Could chemical attacks end the world as we know it? It is scarily true that chemical attacks can kill millions. At one point, there was so much nerve agent in the world that every living person could easily have been killed. Thankfully, sanctions and agreements have been made by most of the countries in the world to destroy known agents. 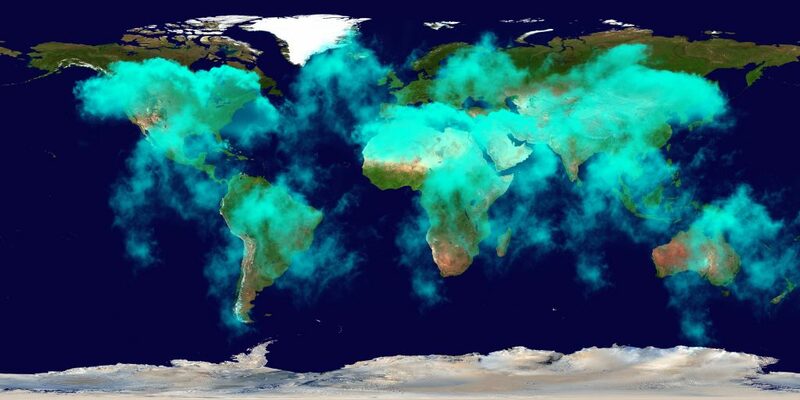 So, could the end of the world still be caused by chemical warfare? It is now doubtful and unfeasible. There would need to be an extreme amount of the right chemicals to do so, as chemical agents do not spread the same way biological weapons do or cause as much destruction as nuclear weapons. The same methods of delivery for chemical weapons can be used for biological and nuclear weapons. This scenario would be even more devastating. What is the current probability of a chemical attack? The probability of a chemical attack occurring is extremely low, measuring at a one on the TrueRisk index. This risk is slightly higher for those in urban areas or near military bases. The weapons of choice have gone beyond chemicals and into nuclear because the effects tend to take place immediately. They can also be targeted better. Terrorism rarely occurs with chemical weapons due to the costs involved. Nuclear is preferred because of its benefits mentioned; biological armaments also typically cost less. This doesn’t mean that chemical attacks will stop. They can be seen as a cost-effective approach if being used as an assassination attempt like on Kim Jong-un’s brother or as a surprise attack. They are also seen as a cheaper option when old munition supplies are available to use. The risk of chemical attacks happening indirectly through food and water sources is also unlikely. Biological weapons tend to be more effective than chemicals in these situations. Chemical warfare is something we can be very prepared for, aiding the damage to be very minimal. Preparation for such an event is straightforward, but it needs to be done right to be effective. Even things like a air-purifying respirator mask and full-coverage clothing can make all the difference, as is having a dedicated shelter to go to in the event of an emergency. When exposed to the air, most chemicals do not tend to last very long, but it is good to have the basics on hand since you never know exactly how long you will be in the middle of a chemically-exposed area. An excellent kit to help you for the duration of a chemical attack that can be kept in your shelter will be inexpensive and easy to put together. 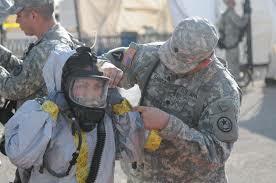 They should include protective gear and items to help decontaminate the area. For protective gear, you should have gas masks and appropriate clothing. FAST-ACT’s VapourKlenz Face Mask is ideal in these situations. Using FAST-ACT patented technology, metal oxides to interact with pathways to break down toxic and noxious compounds. This neutralizes odors and makes things safer. FAST-ACT masks are lightweight, inexpensive, and come with a metal strip over the nose that can easily be bent to create the perfect seal around the top of the nose. Like any mask, you should try this on before an emergency should occur to ensure a good fit. Other protective gear you should get includes gloves, goggles, and full-coverage clothing. A plastic one-piece suit would be even better. It should gather around the ankles and wrists to prevent exposure. You should always change out of clothes that have been exposed to chemicals as they can stick to the fibers of the clothing, so keep a spare set as part of your kit. Your emergency kit should also contain items to help with decontamination. FAST-ACT can help with the right tools to keep your area safe, like the FAST-ACT Powder Bottle and FAST-ACT Decon Mitt. Just flip open the bottle and spray it towards the contaminated area to help neutralize liquid and vapor hazards. This will make clean-up a breeze. Use it alongside the Decon Mitt to handle contaminated items. Your emergency pack should also contain enough food and water. Canned food is best as it can last a long time and doesn’t need to be heated. Disinfectant wipes, soap, and body wipes are also handy to have. It is best to stay put during an attack and seek shelter immediately. Have a shelter plan in place for both home and work. Make sure the surrounding area is decontaminated (FAST-ACT products can help here). Change out of any exposed clothing by cutting it off, so it doesn’t touch your hands or face. 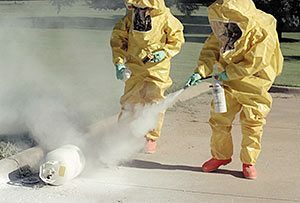 Use protective clothing when venturing out or neutralizing any surrounding chemicals. Stay put until the all-clear is given. The first thing to do is to stay calm. This will help you keep a level head and have a positive effect on those around you too. It is suggested to stay where you are. However, if you are not close to where the chemical attack has deployed, then you may have enough time to leave the area, but only if it is safe to do so. Take traffic or any other time-consuming factors into consideration that may stop you from getting away in time. Get to higher ground if possible. Chemical agents tend to be denser than air, so they will always sink. In your shelter, turn off all HVAC and fans. Tape up doorways. Use plastic sheeting if it is available to make the room as airtight as possible. Chemicals do not linger and should dissipate after 72-hours. Liquid chemicals may last longer. You should wait until an official all-clear before venturing out if it can be helped. Decontaminate all the exposed protective gear. FAST-ACT Decon Mitts are great for this, as are the FAST-ACT Powder Bottles for bigger messes. They will make clean-up quick and easy. Don’t wait for a chemical attack to happen. Be prepared with a solid plan in place, complete with FAST-ACT products to help decontaminate hazardous areas. Have a look at our products or contact us with any concerns you have in preparing your emergency kit. 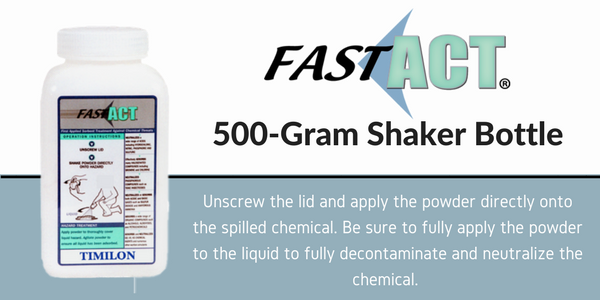 FAST-ACT is designed for liquid and vapor chemical releases, but the chemicals it attacks does not need to be limited to what we traditionally think of as a chemical spill. Toxic and noxious chemicals can come from a variety of sources such as waste water, decomposition, household chemicals, and animals. Unfortunately, people sometimes die in their vehicles. This can be accidental or intentional, but either way, the odors of decomposition need to be addressed. FAST-ACT Pressurized Cylinders have been used to decontaminate the odors. By dispensing FAST-ACT through this manner, the powder disseminates quickly and can flood the entire enclosed space quickly and rapidly. In addition to knocking down the odors, the FAST-ACT powder helps soak up decomposition fluid. This is probably the most unfortunate use of the product, but we are happy that this is a tool that can make this cleanup process easier for the responders. 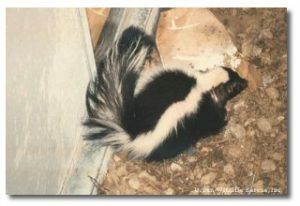 Skunk odors are difficult to mitigate even for restoration contractors. We often get calls about animals dying in the crawl spaces below people’s homes. An animal crawl in there dies, and the odors become strong but eventually dissipate. When it comes to a skunk, the odor can last and last. The thiol-based odor of skunk spray can linger in the air for a long time and is difficult to remove. FAST-ACT Pressurized Cylinders can be used to fog the air space of the crawl space and since FAST-ACT is made of safe metal oxides, it can be left in place to capture and neutralize the odors. After natural disasters such as floods, teams of emergency responders and restoration contractors come together to help communities get back to normal. Waste water can be contaminated with a variety of pollutants, including chemicals. 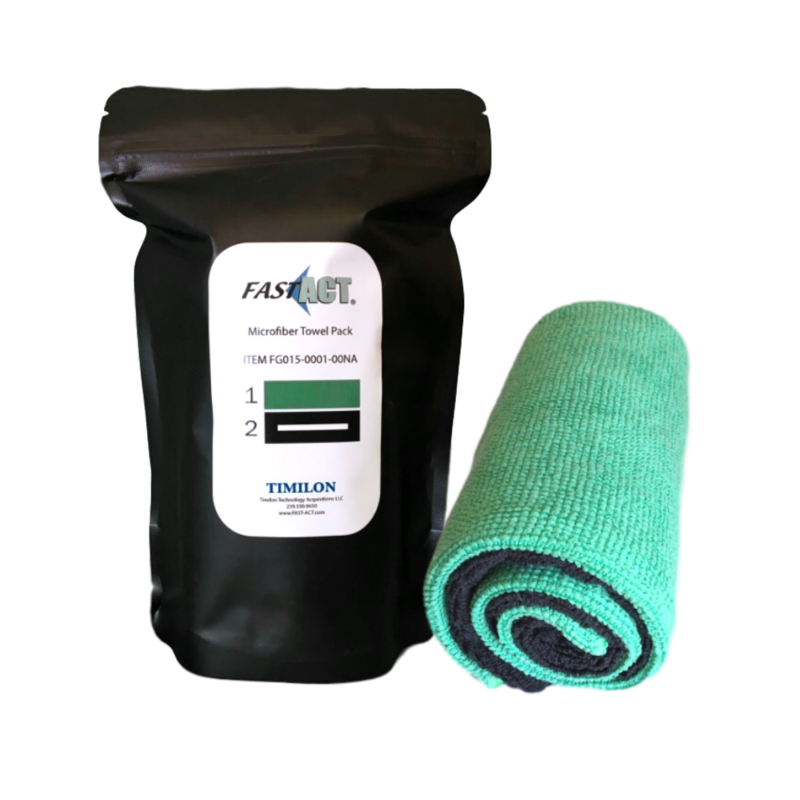 FAST-ACT powder has been used to soak up residual contaminated chemicals and waters to make the job site safer. Large open air spaces like a warehouse can sometimes be difficult to air out after a chemical release or odor event. FAST-ACT can be fogged into the air to help knock down the odors. This can be common after chemical fires or even the combustion of synthetic materials. FAST-ACT makes quick work of this smelly situation. Some of the more common uses of FAST-ACT involve people improperly disposing household chemicals into dumpsters. When these products packages fail and the liquids mix together, some very dangerous chemical concoctions can form and release vapors. First Responders arrive on the scene and have no idea what the starting chemicals are or what they have formed. This is a perfect daily occurrence type of use of FAST-ACT. A FAST-ACT cylinder can be deployed to knock down the vapors and contain and/or neutralize the liquid chemicals. 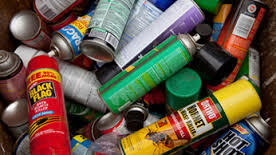 These are particularly dangerous situations as illegal disposal of household chemicals into dumpster often occurs in more populated and urban areas where unsuspecting people may encounter an incident. 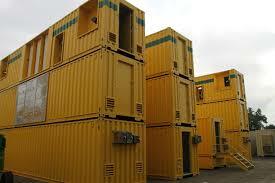 FAST-ACT has been used to mitigate odors in shipping containers overseas. Containers that have chemical package failures or even intentional fumigants can be hard to completely clear out and neutralize. 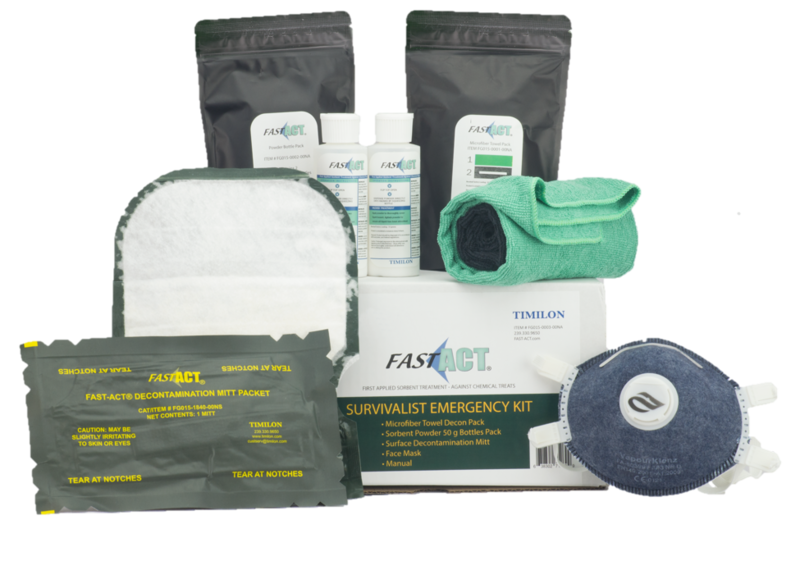 FAST-ACT can be quickly deployed to neutralize a variety of chemical compounds and flood the void spaces in filled or empty shipping containers.These are just a few of the common, but not often thought of, uses for FAST-ACT. If you have used FAST-ACT in an unusual circumstance, we would love to hear about it. The current political and world climate has forced the Emergency Response Community to take a closer look at the number of potential hazards that they may be called upon to deal with. Of particular concerns are the response to terrorist and/or chemical incidents. Depending on the type of event, responders may be faced with a myriad of challenges and onsite dangers. 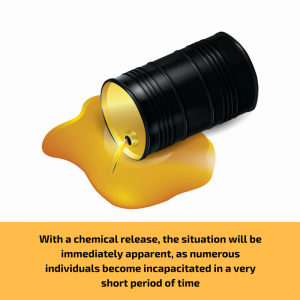 With a chemical release, the situation will be immediately apparent, as numerous individuals become incapacitated in a very short period of time. These toxic chemicals will continue to pose a danger to the public as long as they persist. The goal of responding to such a situation should be to immediately get the public out of harm’s way and then to treat the hazard to minimize the risk to the general public and the emergency personnel present. 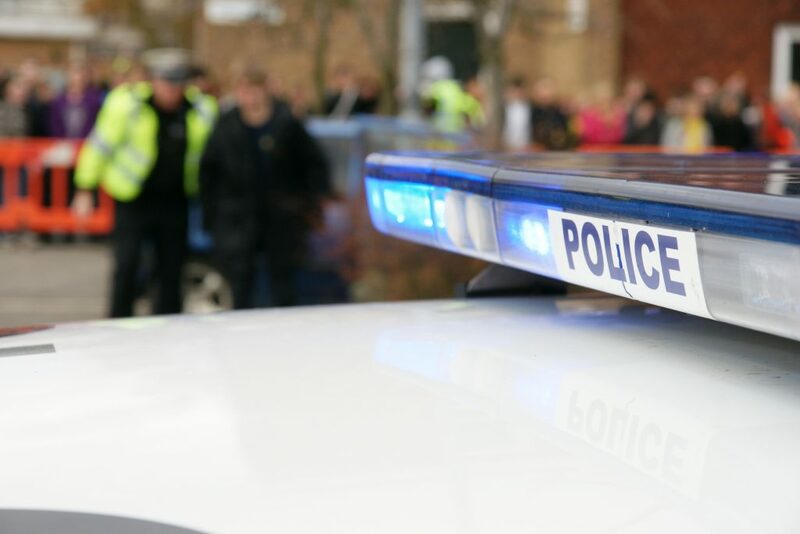 Responding to such an event typically requires identification of the agent, evacuation of exposed individuals, and mass decontamination lines to be set up in the shortest period of time possible. All of these measures are designed to limit the number of casualties from such an event. To ensure that such a situation will be handled correctly, responders nationwide conduct drills and training exercises to prepare for events of terrorism. Having the protection of a chemical spill kit within reach can assist you tremendously when you are exposed to a chemical release in your environment. In laboratories or even during a potential terrorist attack you need to be prepared for the rare compositions of hazardous and nonhazardous chemicals that could be released in various states, whether it’s a liquid or vapor chemical release. A chemical spill kit is used as a source to neutralize and decontaminate the chemical that has been released into the environment. Strategically placing your chemical spill kits in locations near or around chemicals in preparation for the event of a chemical spill is vital in quickly containing the chemical. 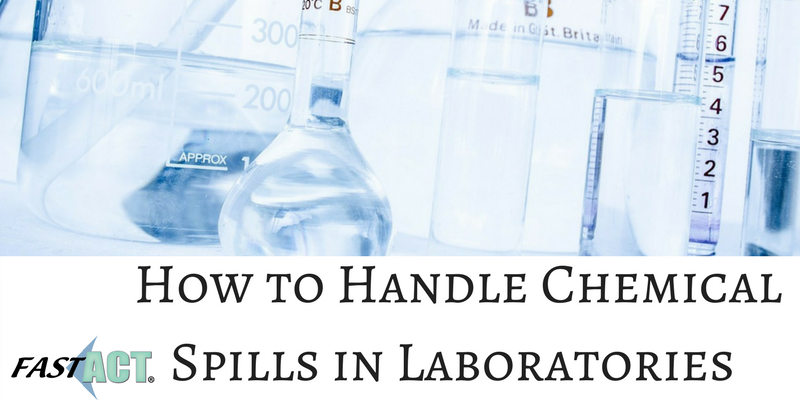 Most laboratories and factories will have chemical spill kits that work when a chemical is spilled as a way to neutralize the chemical at play, however, these chemical spill kits can sometimes cost you valuable time when trying to combat the chemical. 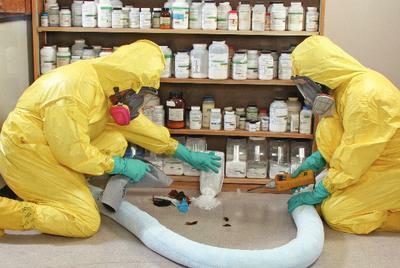 Traditional spill kits require you to be able to identify the chemical that has been released so you can use the appropriate compounds to counteract and neutralize the chemical, and sometimes when you are using multiple chemicals it can be a challenge to determine what to use to decontaminate the chemical. When you are working with chemicals you want to have a chemical spill kit with protective gear that can work FAST and ACT against the chemical in your environment. 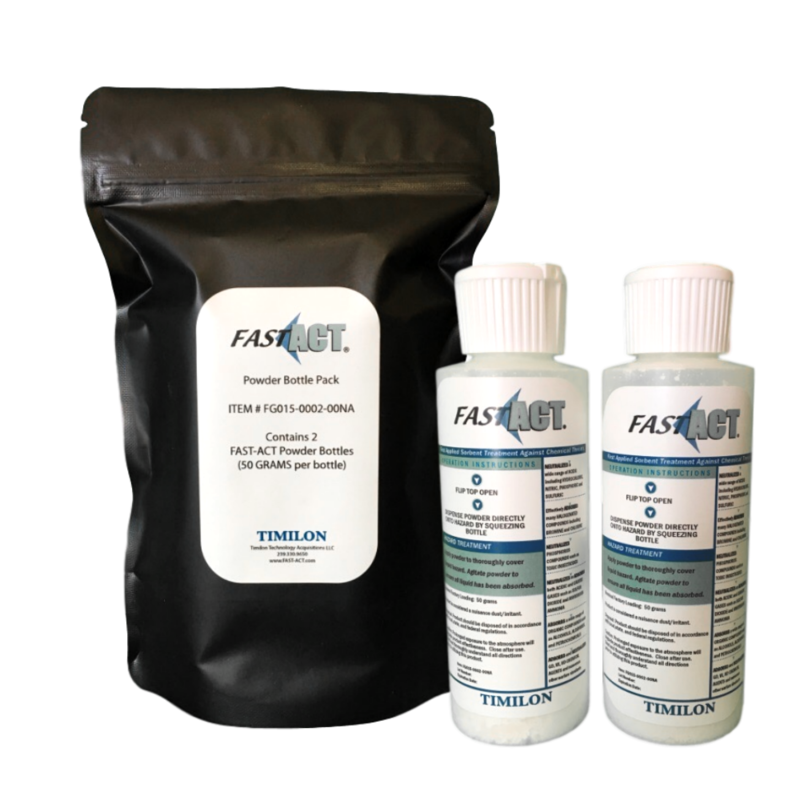 Timilon offers a portable response system known as FAST-ACT (First Applied Sorbent Treatment – Against Chemical Threats) in pressurized cylinders, shaker bottles, bulk pails, or personalized protection paks. FAST-ACT can be safely applied to any liquid spill or vapor release enabling Emergency Responders to utilize one system when faced with a wide variety of known or unknown chemical hazards. FAST-ACT provides a rapid and effective way to safely neutralize toxic spills efficiently reducing life-safety threat, on-site management time, and cost. It was nominated “Invention of the Year” by the U.S. Army and winner of the “Breakthrough Award” from Popular Mechanics. A range of equipment is required to ensure the safety of not only the responders but also the general public. Personal protective equipment and sensor technologies have arisen to meet the challenges presented by a chemical agent attack. Utilizing existing products, personnel can respond to a potential release, identify the agent, and ensure their individual safety. But what about the public? 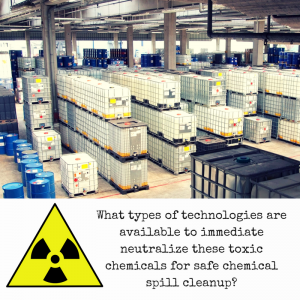 What types of technologies are available to immediate neutralize these toxic chemicals for safe chemical spill cleanup? Historically, the release of chemical warfare agents was only a concern for military officials. Over the last two decades, the U.S. military has spent several million dollars on research and development efforts to provide the most effective protection against such agents. The use of these agents or other toxic chemicals in a terrorist attack has now become a realistic threat which civilian responders must now be prepared to address; whether it be a release in a subway, at a mall or any other public place. So how are these military research and development efforts being transitioned into the civilian sector? Safe, high surface area, metal oxides are being used for their “adsorptive neutralization” capabilities as an alternative to the environmentally riskier or less effective chemical response products, expanding emergency responders and hazmat teams’ capabilities. First-Applied Sorbent Treatment Against Chemical Threats, or FAST-ACT®, is a proprietary formulation of non-toxic materials that has the ability to destroy chemical warfare agents. Additionally, FAST-ACT is effective for neutralizing a wide range of toxic chemicals. It is capable of treating frequently encountered liquid spills and vapor releases, while offering protection in the event of a chemical warfare agent release. 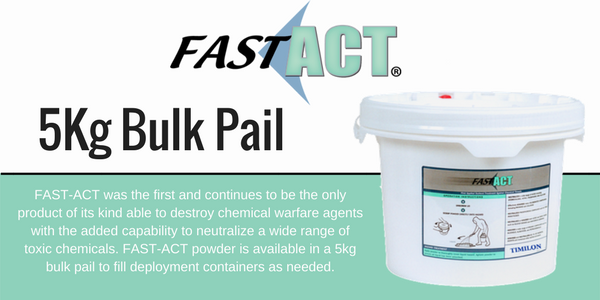 In addition to its application to chemical warfare, FAST-ACT is also used in chemical waste disposal. It is non-corrosive, non-flammable and is also highly effective over a wide range of environmental conditions. This family of products has expanded utility for law enforcement, industrial, laboratory and public protection applications. These products allow the Emergency Responder Community a line of protection against a wide range of toxic chemicals for themselves and the public. The delivery systems ensure the product is immediately deployable, simple to use and is capable of neutralizing a wide range of toxic chemicals quickly. World events have forced the Emergency Response Community to take a closer look at the number of potential hazards that they may be called upon to deal with. Of particular concern is the response to chemical incidents in civilian areas. Depending on the specifics of the event, responders may be faced with a myriad of challenges. With a chemical release in general, toxic chemicals will continue to pose a danger as long as they persist. The goal of responding to such a situation should be to immediately get the public cleared and treat the hazard to minimize the risk to the general public and emergency personnel present. Responding to such an event typically requires identification of the agent, evacuation of exposed individuals, and mass decontamination lines to be set up in the shortest period of time possible. All of these measures are designed to limit the number of casualties from such an event. To ensure that such a situation will be handled correctly, responders nationwide often conduct drills and training exercises simulating chemical attacks or events. The range of equipment being required to ensure the safety of not only the responder but also the general public is increasing. 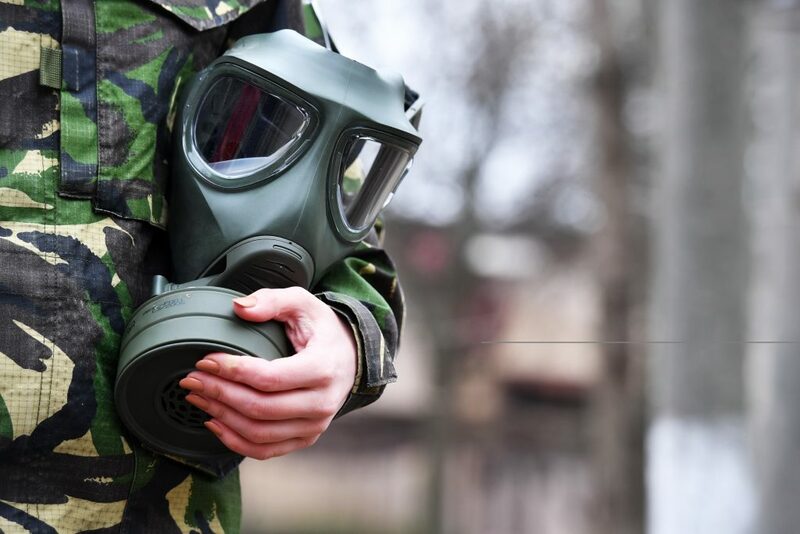 Personal protective equipment and sensor technologies have arisen to meet the challenges presented by a dirty bomb and chemical agent attacks. Utilizing existing products, military personnel can respond to a potential release, identify the agent, and ensure their individual safety, but what about the public? What types of technologies are available to immediate neutralize these toxic chemicals? For a long time, the release of chemical warfare agents was strictly a concern for military officials. Over the last two decades, the use of these agents or other toxic chemicals in a terrorist attack has now become a realistic threat which civilian responders such as police, fire, and HAZMAT must now be prepared to address whether it be a release in a subway, at a mall, or other public venues. FAST-ACT® enables users to immediately respond to toxic chemical releases. Whether it is a subway, an airport or in an industry, FAST-ACT ensures an immediate response to eliminate the hazard and minimize exposure. The system has been proven to quickly contain and destroy chemical warfare agents and a wide range of toxic chemicals to ensure any situation can be contained quickly and effectively. The product is capable of treating frequently encountered liquid spills and vapor releases while offering protection in the event of a chemical warfare agent release. It is non-corrosive, non-flammable and highly effective over a wide range of environmental conditions including below-freezing temperatures. This family of produ cts has expanded utility for law enforcement, industrial, laboratory and public protection applications. 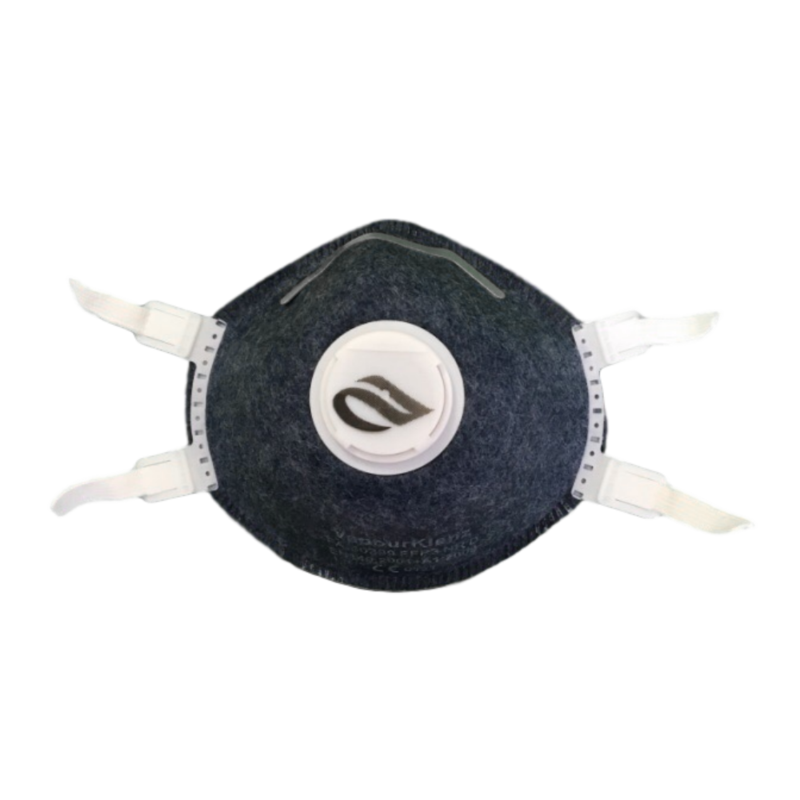 This product allows the Emergency Responder Community a line of protection against a wide range of toxic chemicals for themselves and the public. The delivery systems ensure the product is immediately deployable, simple to use, and capable of neutralizing a wide range of toxic chemicals fast.